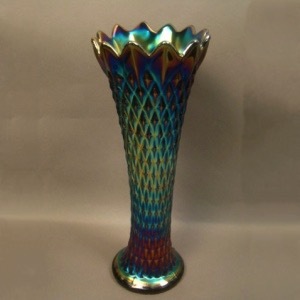 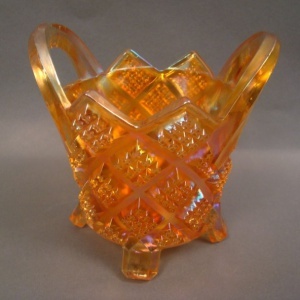 Pattern Description: Raised diamonds cover almost the entire exterior of these standard vases; the baskets have large diamonds containing 9 raised squares. 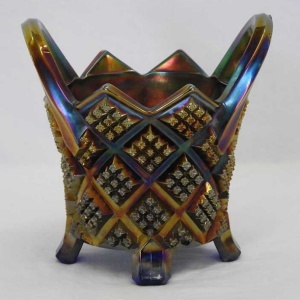 Diamond Point vases are covered with raised diamonds while the baskets have diamond shapes containing 9 raised squares. 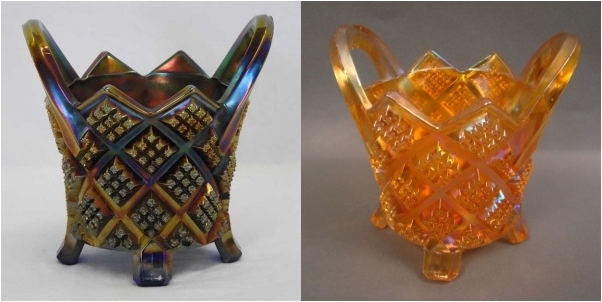 The vases are pictured in the Butler Bros Catalogs from 1909 – 1912. 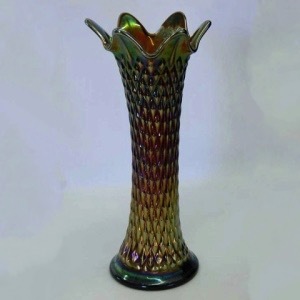 - Base size: 3 1/2"